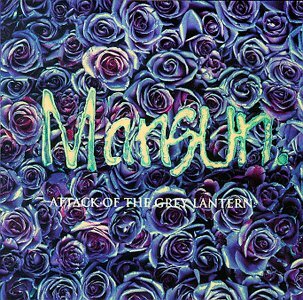 Mansun’s iconic debut album, ‘Attack Of The Grey Lantern’, was released 20 years ago today, on the 17th February 1997. The album spent 19 weeks in the UK chart, peaking at number one, earning the band a platinum disc. Although, frequently referred to as a Britpop album, ‘Grey Lantern’ stood apart from its contempories, with it’s ‘James Bond’ style strings, strong melodies and original lyrics. Sometimes described as a ‘concept album’, writer, singer and producer Paul Draper has said that while it was his intention for it to be one, he “ran out of steam”; labelling the LP “half a concept album – a con album”!